LBS is a mass-gainer protein powder made by Rule 1. It’s a super high-calorie formula, designed to assist with weight and muscle gain. 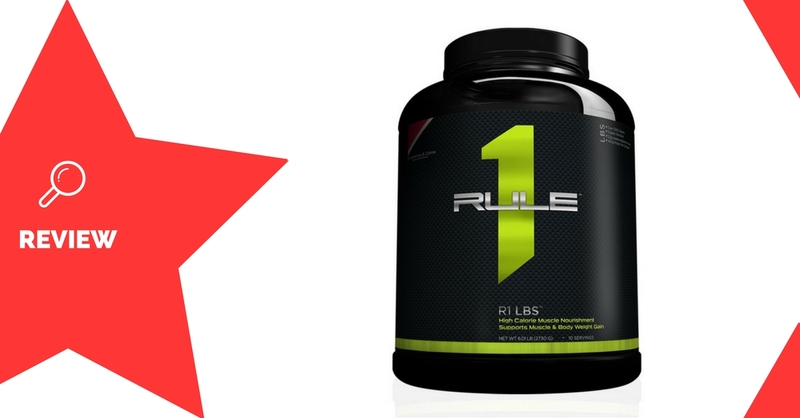 Rule 1 is an American supplement company, which specialises in protein powders. 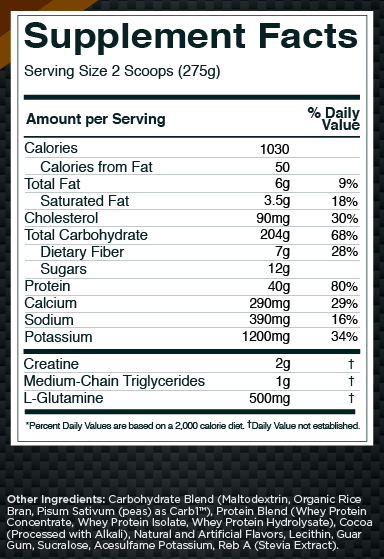 Maltodextrin is the primary source of carbohydrates used in LBS. It’s a low-cost carbohydrate, which is very fast-releasing (high-GI). Both of these ingredients are much better sources of carbohydrates for a mass gainer. They’re both slow-releasing (low-GI), and will have a smoother effect on blood sugar than maltodextrin. Rice bran is also a great source of fibre, which is great for digestion and general health. The ratios of the carbohydrates used isn’t disclosed, but their order on the label suggests that much more maltodextrin is used than these low-GI forms. Whey is the main protein that is found in cow’s milk. Three forms of whey are used in this formula, which are absorbed at marginally different speeds. Research on whey protein in general has shown it to significantly enhance the muscle growth and repair (1). Athletes wanting assistance with gaining general weight and muscle mass will enjoy using Rule 1 LBS. Mix 2 scoops (275g) with 500-600mL water or milk, and consume as desired. Maltodextrin is a high-GI carbohydrate, and should be used with caution if you are diabetic or have issues with blood sugar levels. Rule 1 LBS is a very high-calorie mass gainer, designed to make it easy for you to gain muscle mass, no matter how much trouble you would usually have. Although it will definitely help you gain weight, it only has 40g of protein per serving, which is on the lower end for a mass gainer of this serving size. Despite having some low-GI carbohydrates and fibre, it is still predominantly maltodextrin-based, which is a very high-GI carb source. You’ll want to avoid this product if you are diabetic.